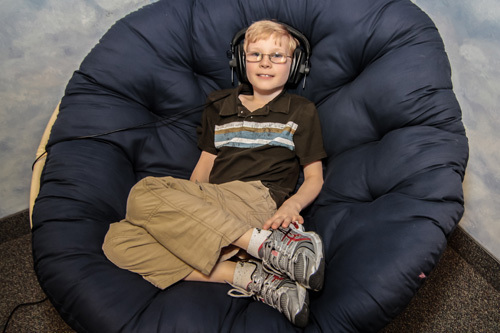 Auditory Integration Training (AIT) is a form of sensory integration therapy. Sensory integration is the ability to take in, sort out and connect information from the world around us. Problems with sensory integration may include over-sensitivity or lack of response to one or more types of sensory experience. Sensory integration dysfunction can result in difficulties with attention, speech and language, academic achievement, or behavior. 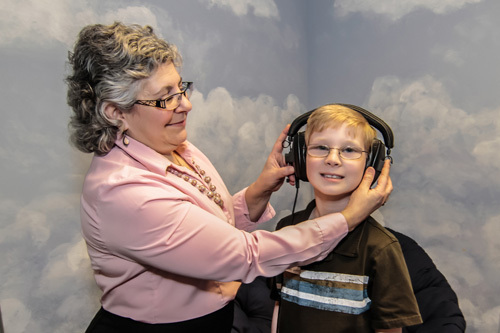 AIT is a hearing enhancement program for auditory input anomalies that frequently coexist with sensory, neurological and/or learning disabilities. The concept behind AIT is that behavior is directly related to how we hear. 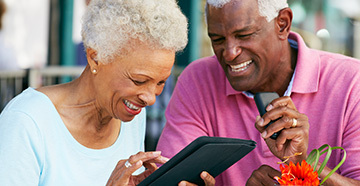 AIT helps address a wide range of learning problems such as sound sensitivity (painful hearing), auditory processing disorder, auditory attention, or "tuning out" behavior, where a child with normal hearing acuity will appear to be hearing impaired because of an inconsistent response or an unresponsiveness to sound. Candidates for AIT are individuals with dysfunctional auditory systems or skills. Symptoms of hyperacute hearing, hypoacute hearing or general auditory dysfunction are typically present. There can be an overlap between these categories. The minimum age is 3 years old. Persons with characteristics of hyperacute hearing may display the following behaviors: covers ears with his/her hands, cries in response to some environmental sounds, says “it hurts my ears”, runs away from sound, cringes, makes noise for noise's sake, learns better visually, learns better one to one, tunes out, is easily overwhelmed in group situations. 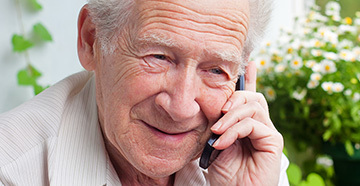 Persons with characteristics of hypoacute hearing may display the following behaviors: acts as if hard of hearing or deaf, has short attention span, doesn’t appear to understand oral directions, responds to only part(s) of verbal directions, needs physical prompts to follow verbal directions, makes noise for noises sake, learns better visually, tunes out. Persons with characteristics of general auditory dysfunction may display the following behaviors: responds to only part(s) of verbal instruction, daydreams, attention drifts, can't stay focused, needs repeated verbal instruction, has trouble remembering what he/she has been told, performs inconsistently in school, is easily distracted by background noise, shows a slow or delayed response time, hears but does not seem to understand, learns better visually, tunes out, has speech or language delays. Positive changes may include: increased attention to auditory stimuli, interest in communication, ability to understand what is said, articulation, mean length of utterance, eye contact, appropriate social behaviors, willingness to interact with others, interest or ability to give/receive affection, potential for less restrictive classroom placements. Positive reductions: hypersensitivity to sounds, irritability, tempertantrums, aggressive behavior, echolalia, perseverative behavior, distractibility, tactile defensiveness and response time. The machine used for AIT is called the Audiokinetron, produced in France by Sapp. It was developed by Guy Berard, MD, an Ears, Nose and Throat physician from France, and used by him in his clinical practice for over 35 years. The Audiokinetron is connected to a standard compact disc player and earphones. Details of Guy Berard’s theories, etc., can be found in his book, Hearing Equals Behavior, published in 1992 by Keats Publishing or consult his website www.drguyberard.com. The AIT program consists of an initial, midpoint and final hearing test and twenty listening sessions. The twenty listening sessions are scheduled at a rate of two 30 minute sessions per day over a ten-day period. There is usually a break over the weekend, although special schedules have been arranged. A minimum of three hours must separate the morning and afternoon sessions. Over 80% of the persons who have had AIT report positive results. For some individuals, changes are noted immediately. For others, changes are so subtle that they are only noticed across time. For further information and a review of AIT's history and successes, please visit www.berardaitwebsite.com. Results will vary, depending on what behaviors we are addressing. Therefore, individual goals will be determined at the time of evaluation. Cost is $100.00 for the initial hearing test and evaluation. AIT is $1500.00 including a mid-point and 6 month post AIT audiogram.